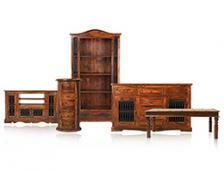 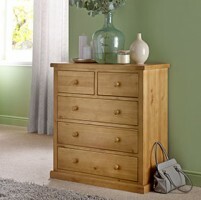 Do you struggle to find a home for all those smaller items that don't always find a dedicated space? 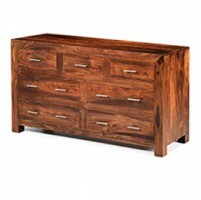 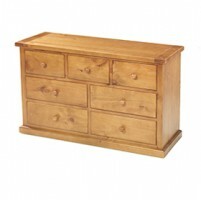 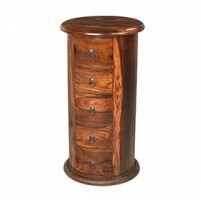 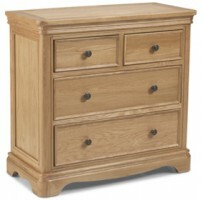 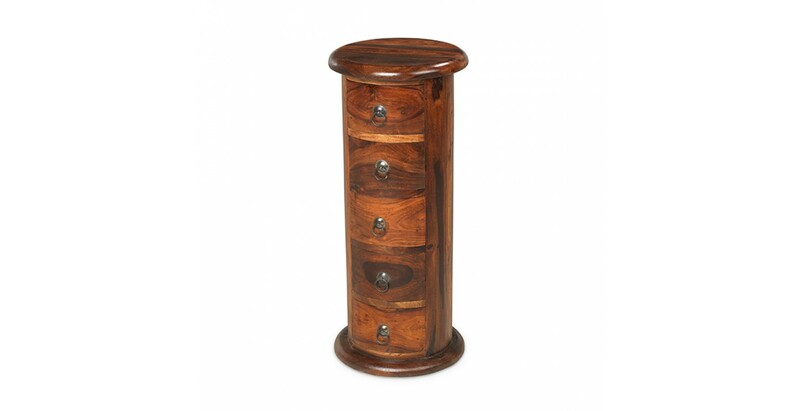 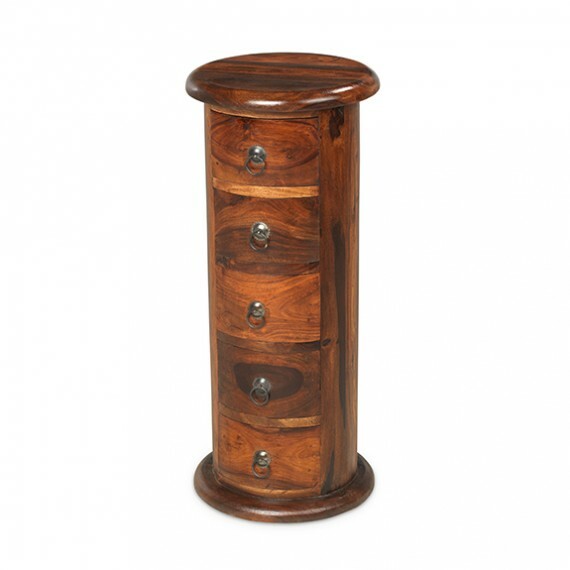 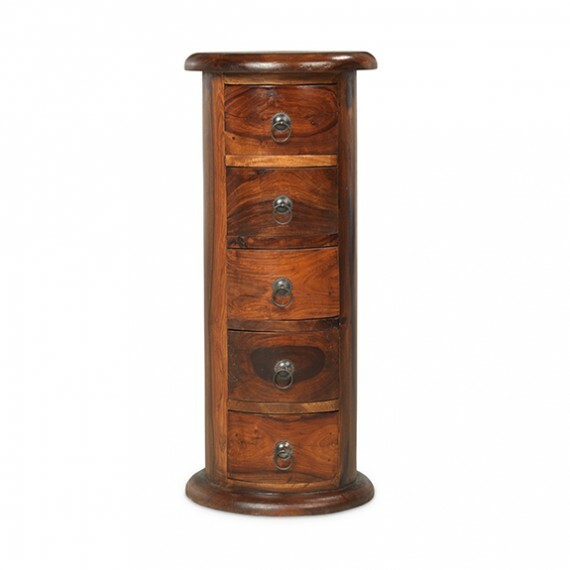 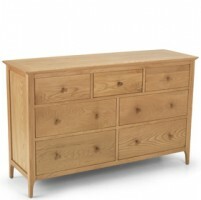 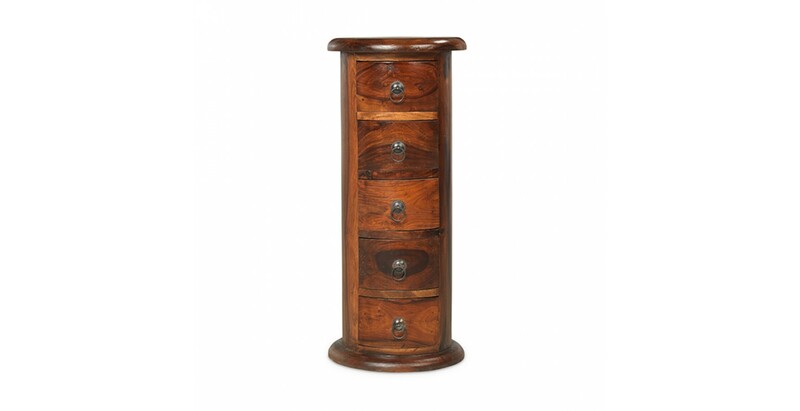 We think this highly desirable slim chest of drawers may be the answer. 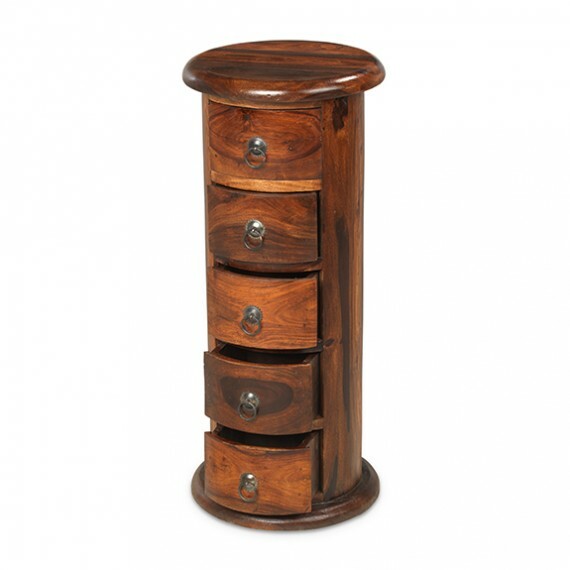 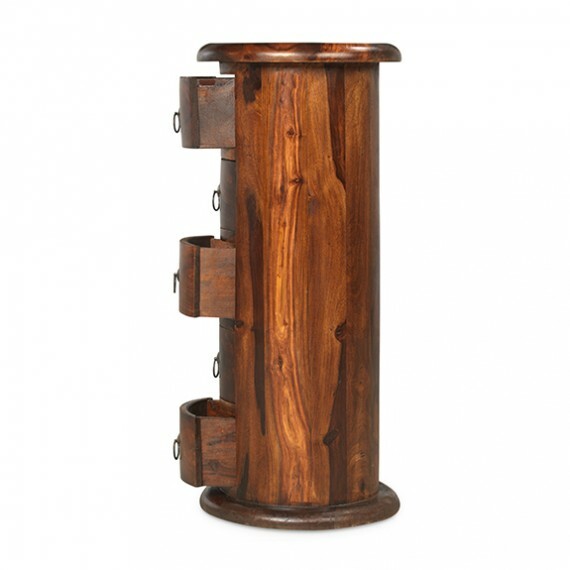 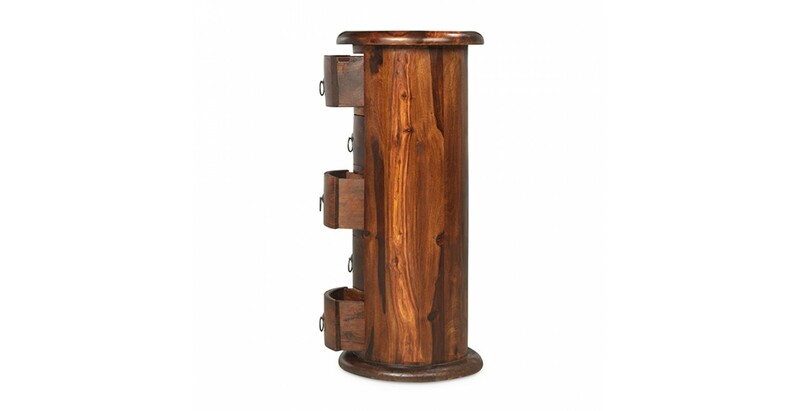 Crafted by hand from sheesham wood, it's cylindrical design adds curve appeal to your room and the five drawers will take care of bits of paperwork, stationery, candles, spare batteries, fuses – anything you like, really – it would even make a pretty good underwear and sock chest. 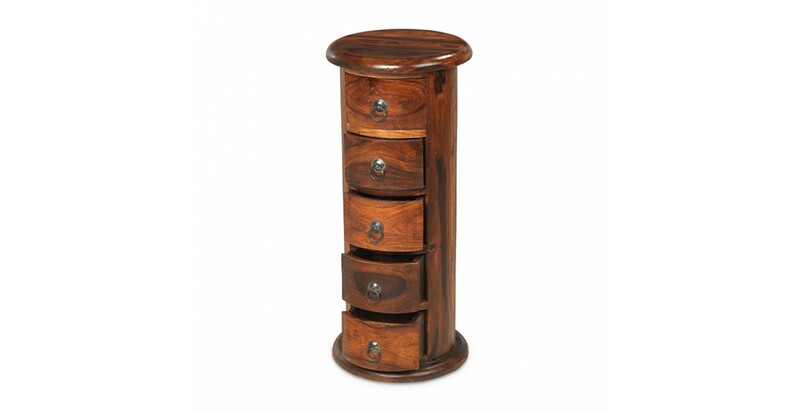 Slim enough to fit anywhere it might be needed, its richly grained, exotically dark good looks are brought to life by a Wax Lacquer Finish.